Even a hurricane and a fire can't stop a good pirate show. 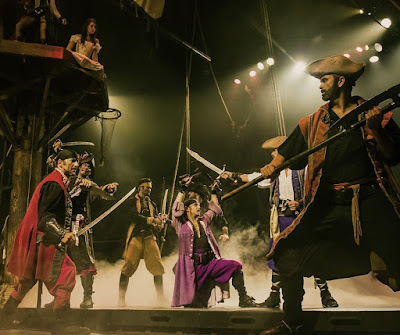 Pirates Dinner Adventure in Orlando, Florida is an adventure-packed and interactive dinner show. Orlando's favorite pirate ship returns when Pirates Dinner Adventure, featuring a new themed show, newly renovated theater, new dinner menu, new characters, new effects and an interactive story line, reopens on July 4 following Hurricane Irma damage renovations. Tickets are now available for purchase at piratesdinneradventure.com for shows. This family-friendly dinner show features an 18th-century pirate ship replica and four-course dinner. "We're thrilled to reopen after 10 months of renovations for extensive hurricane damage," said Pirates Dinner Adventure General Manager and Vice President North America Dan Falls. "We thank our community for their unwavering support while we've been closed. Hearing our customers share their excitement for our reopening inspired us through many setbacks so we could overcome the odds." Hurricane Irma damage forced the show to close in September 2017 after strong winds destroyed its domed roof, causing water damage to the interior theater, pirate ship and artificial lake. Hurricane Irma damage before the theater reopens on July 4, 2018 completely renovated. With renovation underway, a fire broke out during construction on April 9, pushing back the reopening date further. 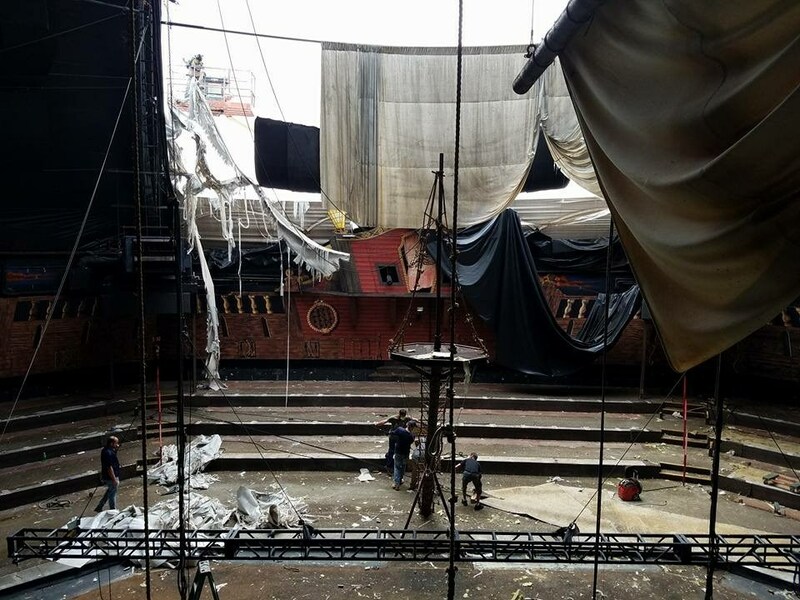 The fire covered the entire 800-seat theater in debris and ash, requiring around-the-clock hours of tedious cleaning by hand. There are nearly 200 kitchen, operations, customer service and acting roles available. Interested parties can fill out an application online and interview in person during open interviews with immediate hiring on June 11-15 from 2 p.m. to 4 p.m.
"I look forward to when we open the doors for the first show back and we can hear everyone's reactions to our new theater," said Daniel Latorre, assistant general manager of Pirates Dinner Adventure. "The storm tried to sink us and the fire tried to destroy our ship, but pirates never give up." Pirates Dinner Adventure, located in Pirates Town at 6400 Carrier Drive between International Drive and Universal Boulevard, is an interactive, family-friendly show offering a diversity of acts, such as stunts, aerial tricks, sword fights, romance, comedy and more. Become a pirate when you get on board an 18th-century Spanish galleon replica with adventurous pirates. Enjoy a delicious four-course meal while playing a part in the pirate adventure show. For further information, including show times, group rates and to buy tickets, visit www.piratesdinneradventure.com and call toll-free 1-866-439-2469.